Yamashiro is a timeless treasure in Hollywood. The incredible skyline and mountain views, charming, courtyard, historic pagoda, and ornate, elegant event spaces make Yamashiro the quintessential “special occasion” restaurant in Los Angeles. 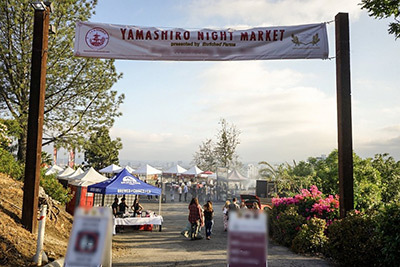 Yamashiro is the go-to spot for special events and occasions in Hollywood, and has a long, illustrious history that is star-studded with the most glamorous and intriguing icons in Hollywood history. During the Golden Age of Hollywood, Yamashiro served as a private club for the ultra-exclusive “Club of the Four Hundred” where Hollywood’s most famous stars and movie moguls like Marilyn Monroe and Howard Hughes gathered for fine dining and social event experiences. The hand-carved beauty and authentic architecture of Yamashiro has been featured in countless movies, films, and television shows, including blockbusters like Kill Bill and Memoirs of a Geisha. Today, Yamashiro continues establishing itself as a timeless Hollywood restaurant, serving Los Angeles with lavish event spaces, unparalleled views, exquisite fine dining experiences, and a scrumptious, fresh Sunday Brunch with bottomless mimosas. Yamashiro offers unique, lavish event spaces, but more than that, our spaces create an elegant, yet contemporary experience. Each of our luxurious event spaces offers a unique, unforgettable experience of panoramic, breathtaking views, lush gardens, peaceful waterfalls, and modern touches. 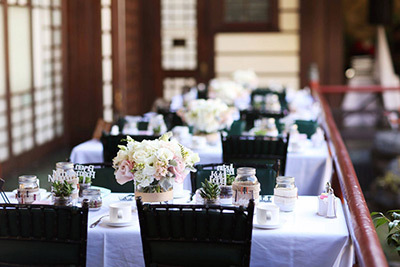 Whether it’s an intimate dinner party, a glamorous wedding, an exclusive film screening, a star-studded Hollywood Awards afterparty, or an impressive corporate retreat, Yamashiro offers the most exquisite event venues in Hollywood. Yamashiro offers an exquisite elevated dining experience, designed by esteemed Executive Chef Angel Flores. Chef Angel Flores has deep roots here in Los Angeles; from his parents’ childhood homes in East LA to his culinary education at Cordon Bleu in Pasadena. Over his career he deepened his connection with LA spending time at many iconic properties, including some of LA’s top sports & entertainment venues like the Hollywood Bowl, Dodger Stadium & Staples Center. Chef’s love for cuisine has cultivated respect for traditional techniques while also inspiring a unique & flavorful point of view. 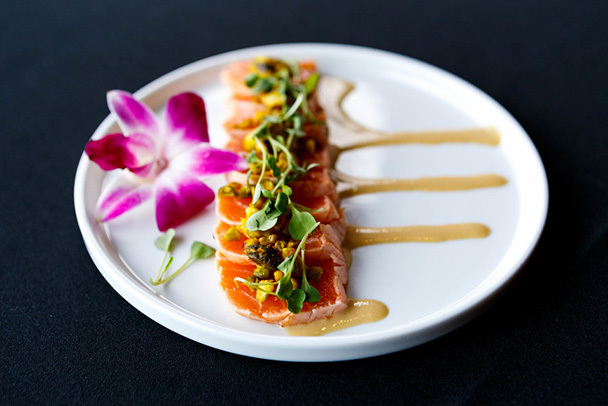 Yamashiro’s cuisine includes Japanese inspired sushi & seafood, rare cuts of meat including longbow ribeyes and A5 wagyu steaks, and seasonal produce to create a celebration for all of your senses, alongside breathtaking views from each of our dining rooms. The fine dining experience and romantic ambiance make Yamashiro the perfect place to celebrate any occasion including birthdays, anniversaries, marriage proposals, Valentine’s Day, New Years Eve, and more..
Join us every Sunday from 11am-3pm for the best brunch buffet in Los Angeles. Yamashiro’s Sunday Brunch experience includes outstanding breakfast & seafood cuisine with breathtaking views of the Hollywood Skyline and tranquil ambiance in our historic Koi gardens. Our buffet is filled with beloved breakfast classics, fresh sushi &amp; chilled seafood, local fruits and veggies, and delicious pastries. Bottomless mimosas &amp; Aperol spritz invite that endless Sunday Funday experience. Valet parking is available for brunch guests for just $5.